2019 Maruti Suzuki facelift launched in India with new bumper and grille. The 2019 Maruti Suzuki Baleno facelift has been launched today in India with prices starting at ₹ 5.45 lakh for the base petrol variant going up to ₹ 8.77 lakh for the top-end petrol automatic variant. Prices for the base diesel variant start at ₹ 6.60 lakh and goes up to ₹ 8.60 lakh for the top-end variant, all prices ex-showroom, Delhi. The Baleno has been the bestselling premium hatchback in India for a long time and Maruti has given it an update for the first time in almost four years. Prices of the 2019 Baleno facelift has gone up by up to ₹ 44,000, depending on the variants and drivetrain options. 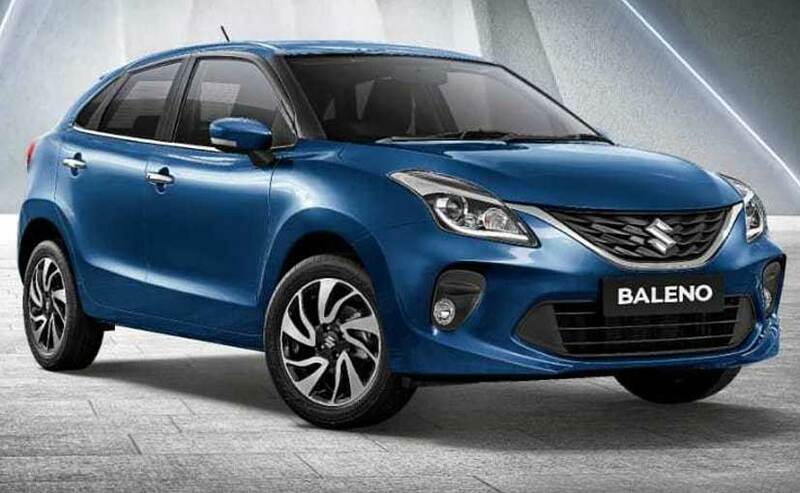 Since it’s a facelift, the changes weren’t expected to be major and 2019 Baleno isn’t a significant departure from its predecessor. For Instance, the 2019 Maruti Suzuki Baleno gets a new Bumper which sports a wider centre air-dam and air ducts on either side which are surrounded by C-shaped profile. The grille of the new Baleno now gets three-dimensional detailing and has also been slightly tweaked to make the face look wider which in-turn gives it a ‘smiling face’. The lower bend of the chrome finish which forms a basin to surround the grille has been kept less sharp and more angular on edges to blend with the width of the grille. The new Baleno gets new set of dual-tone 16-inch alloy wheels while the side and rear profiles largely remain unchanged. Moreover, Maruti has added two new colours in the Baleno range- Phoenix Red and Magma Grey.